Newcomer Family Obituaries - June H. Tallman 1927 - 2018 - Newcomer Cremations, Funerals & Receptions. June H. Tallman, 90, of Columbus, passed away September 12, 2018. June was born November 11, 1927 to Edward and Emma (Duff) Hollingshead. 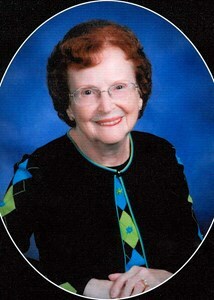 She was a member of All Saints Lutheran Church in Worthington. She was married to Oliver L. Tallman for 48 years. She will be deeply missed by her; daughters Barbara (Rodney) Duane of Columbus, Joyce Tallman of Cleveland, and Marilyn Miller of Blacklick; grandchildren Meghann (John) Laughlin, Kevin McFarland, Bradley (Emily) Miller, Emma (Seth) Allton; great-grandchildren Miriam, Ian Laughlin, Cadence, Grayson, Ashton Miller, Addi, Audri Allton ; along with step-grandchildren, step-great-grandsons and many others. Along with her parents, June was preceded in death by her husband and son-in-law Gary. Visitation will be Monday, September 17, 2018 from 10am to 11am at All Saints Lutheran Church 6770 N. High St., Worthington, OH 43085. Celebration of Life services will follow at 11am at the church with Pastor Bonnie Gerber officiating. Burial will be at Northlawn Cemetery. In lieu of flowers, memorial contributions may be made to the Alzheimers Association or All Saints Lutheran Church. Add your memories to the guest book of June Tallman.